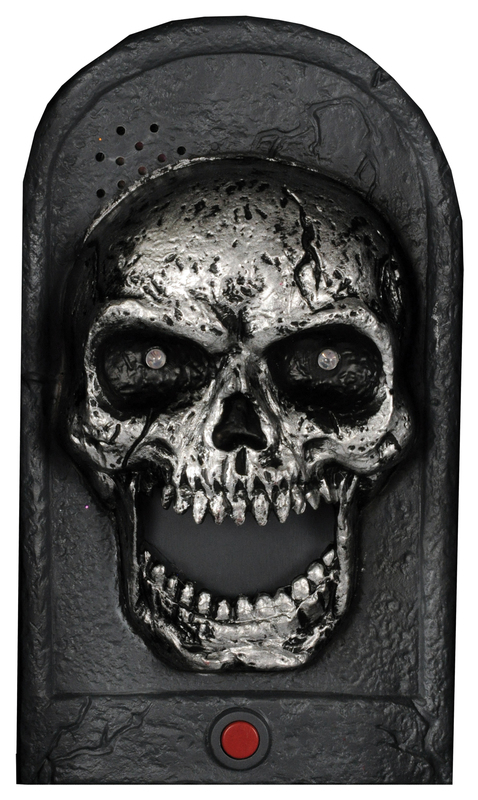 Stick this Skull Door Bell on your door and watch your guests react to his scary warning to enter at your own risk! The Skull's eyes light up and he laughs menacingly, then the doorbell rings and a snake pops out to snap at your finger! Sure to make your friends jump! Easily attaches. Approximately 9 inches tall x 5 inches wide. Requires 3 AAA batteries (included). Battery and safety instructions included.